Have you ever stumbled across a tiny home filled with books, in someone’s front yard, and wondered what that’s all about? It was probably a Little Free Library™ (a national program). 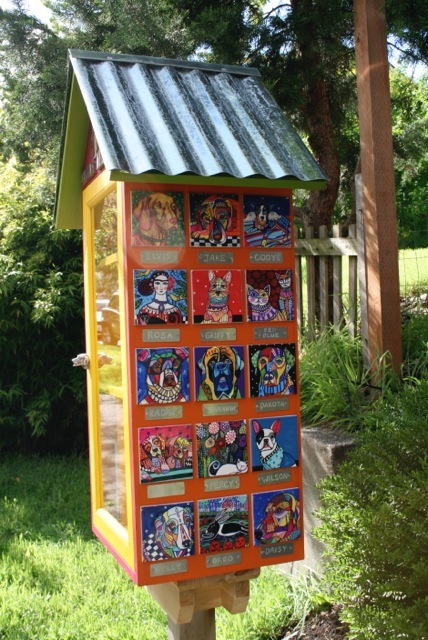 Examples of Little Free Libraries around the country and the world can be found here. They’re going up all over and we’re helping to spread the fun throughout Ballard. 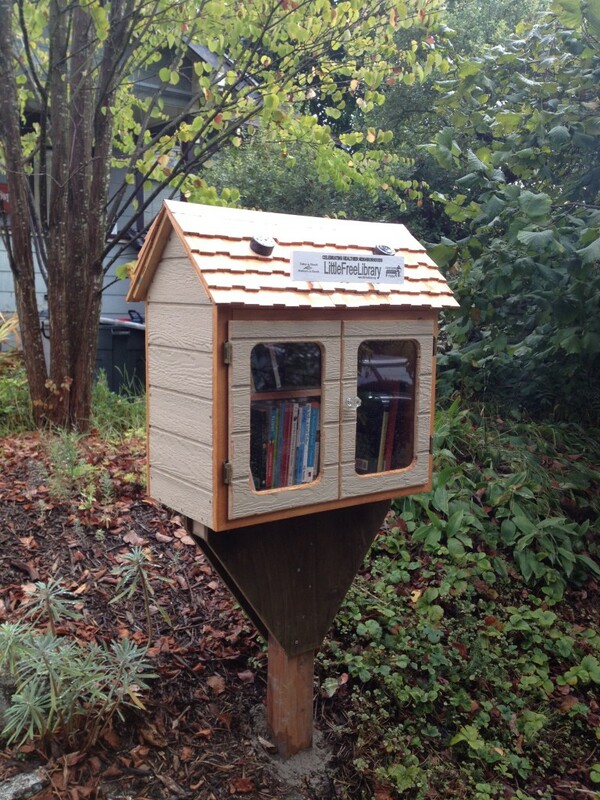 We are building community and spreading literacy by building or hosting Little Free Libraries for ourselves, and then using our experience to help others build or host their own Little Libraries. 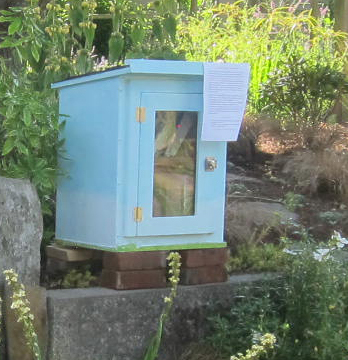 SPECIAL UPDATE: Sustainable Ballard is offering a $20 rebate when you register you library online with Little Free Library™. To apply for your rebate, complete this application. For more information on this program or to find out how you can participate, contact Paula. 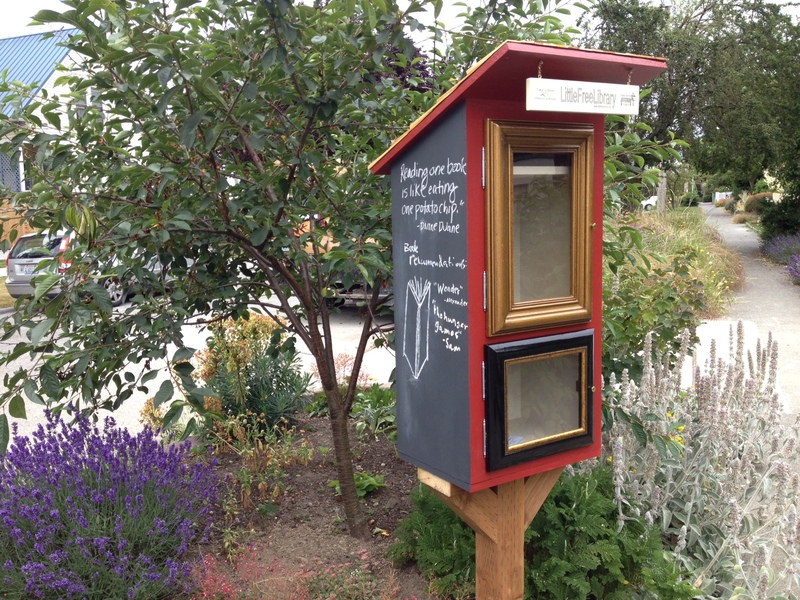 Volunteer Needs: Homeowners and business owners can make their own Little Free Library™, host a book swap to restock Little Free Libraries, organize walking and bike tours of the neighborhood, donate books, distribute maps of Little Free Library locations, tell Paula about unlisted Little Free Libraries and send in photos!